It sounded like a blog-worthy idea: Similar, coincidental events of reasonable significance overlapping between the 56-year-old and the 7-year-old. Opportunities for a few clever comments, and some deep-thought wisdom. That’s how these blog posts work: An idea presents itself; it crystallizes and then synchronizes my brain and my fingers. Truth be told (shouldn’t it always be? ), I write blog posts straight through in one sitting, barely reading back. I think there are a few posts I made without ever reading them. That’s how I know I wrote something I liked: Inspiration moves me brightly. I’ve also learned another valuable lesson from a lifetime of putting words on paper. If I find myself laboring to pull the words together, it’s because the right words just aren’t there. When they’re missing, I fall into language games: Shallow turns of phrase, broad adjectives, sweeping verbs, running in place. When this happens, as it frequently has during my nearly 40 years as a professional writer, it means that I’m either taking the wrong approach to the topic, or it simply ain’t there. So I wrote this fancy set-up for a blog post I refused to kill. It’s a tale of coming and going, a serendipitous overlapping of dental events between the 7-year-old and her 56-year-old father. My teeth have been a life-long nemesis. Baby teeth were pulled. Cavities that led to abscesses, drilling into bone like a wildcatter after oil, costly posts and crowns; crowns that broke off at the gum line, mass extractions, a partial plate, more broken teeth… It at last reached its logical conclusion last week. Meanwhile, the 7-year-old had dental drama of her own. She goes to the dentist regularly. She had two baby teeth pulled, since her adult teeth were pushing their way through her gum and threatening to take a wrong turn. This front tooth, we hoped, would make its departure naturally. 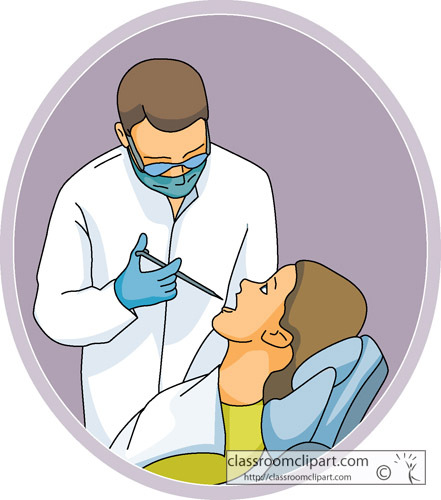 Back to Dad: Eventually, necessity led me to find a new dentist — who was more open to dentures. She took x-rays and studied my upper teeth, past and present. We came up with an action plan. It was submitted to the insurance carrier. I consulted with my oral surgeon, who’s done a lot of work on me. Together, the dentist and the surgeon came up with the plan to build a denture, make the extractions, and fit the denture immediately over the raw, stitched gum. D-Day: Nine teeth were liberated from my mouth (previous for record one-day extraction: 5). The denture was placed. I’ve been back for fine-tuning. Back to the 7-year-old: Earlier this week, the grown-up tooth was spotted sneaking up behind her wiggly tooth. Mom called the dentist. It looked like we’d need him to pull No. 3. Lo and behold: The day following my extractions, the wiggly-toothed 7-year-old rose pushed through. She felt a root snap and there was a bit of blood. She was ready for the next stop on the Tooth Fairy Express. Ta-da! Finally, we had a tooth to put in our Special Tooth Fairy box. The next morning, there was a note from the Tooth Fairy, two shiny quarters and a sprinkling of glitter. Relieved Mom canceled the dentist’s appointment and her plan to take a day off from work. It was the ideal complement to the 9 extractions and helped me look past my own lost teeth. In any loss, there was reason for hope. It reminded me that loss often brings with it gain, and how critical it is to look beyond the obvious to see this. The joy on my daughter’s face was indescribable. Her excitement the morning after, following the visit from the Tooth Fairy was a true joy to witness. In the end, I was reminded how important it is to see life through her eyes, which means it takes only a little bit of fantasy to brighten reality and take me to a better place.